Yes. It is. It’s been two months. Since. I blogged. Tsk.Tsk. Quick update. And in my defense. It’s not easy planning a wedding from, and moving to another country. While working. And doing your best to stay sane. Phew! It’s been a whirlwind. But we got it done. To my regular followers and readers. Apologies! Life has been crazily busy. All good. Less than a week ago. I married my best friend in Gretna Green Scotland. A day for the history books! I will upload wedding pics to Facebook in due course. I know I owe you a real post. Working on it. 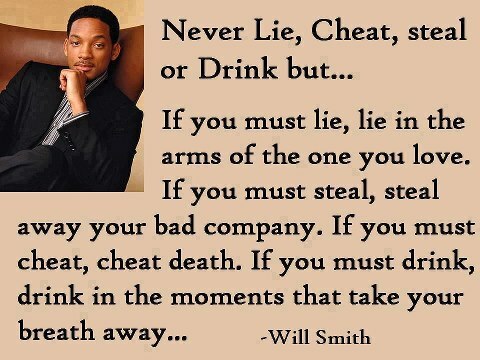 Today, a quote is a quote from Will Smith gets the juices flowing again.